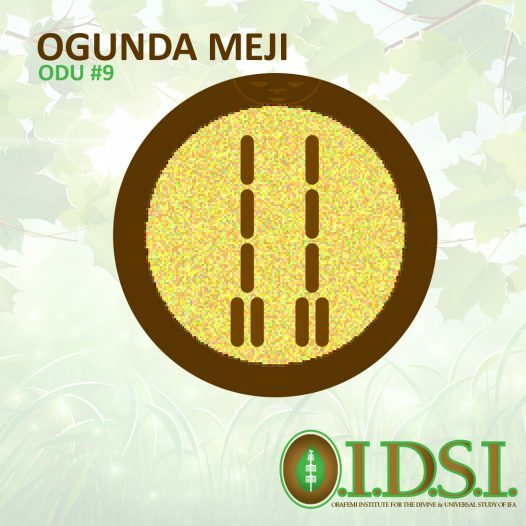 Chief Oluwo Obafemi Fayemi reviews and provides insight on the Sacred Odu Ogunda Meji – The Creator, the ninth Ifa Odu. Chief Oluwo Obafemi Fayemi reviews and provides insight for the Sacred Odu Osa – The Runaway, the tenth Ifa Odu. Chief Oluwo Obafemi Fayemi reviews and provides insight for the Sacred Odu Ika Meji – The Controller, the eleventh Ifa Odu. Chief Oluwo Obafemi Fayemi reviews and provides insight for the Sacred Odu Oturupon Meji (Ologbo Meji) – The Bearer, the twelfth Ifa Odu. Chief Oluwo Obafemi Fayemi reviews and provides insight for the Sacred Odu Otura Meji – The Comforter, The Disrupter, the thirteenth Ifa Odu. Chief Oluwo Obafemi Fayemi reviews and provides insight on the Sacred Odu Irete Meji – The Crusher, the fourteenth Ifa Odu. Chief Oluwo Obafemi Fayemi reviews and provides insight for the Sacred Odu Ose Meji – The Conqueror, the fifteenth Ifa Odu. Chief Oluwo Obafemi Fayemi reviews and provides insight on the Sacred Odu Ofun Meji – The Giver (Eepa Odu), the sixteenth Ifa Odu.